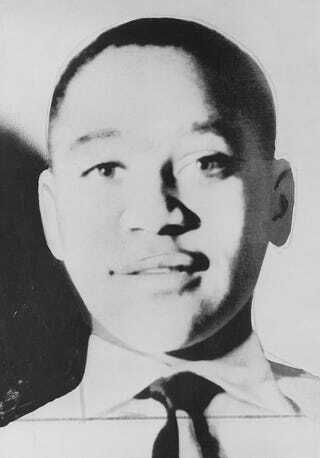 Relatives of Emmett Till—the 14-year-old Chicago boy who was murdered in Mississippi in 1955, triggering the civil rights movement—are asking for the teen’s case to be reinvestigated after a key witness admitted to lying about the teen’s alleged words and actions before his brutal murder. Two of Emmett’s cousins, Wheeler Parker and Deborah Watts, said that another look into Carolyn Donham’s role in Emmett’s case could answer any lingering questions, including whether an unidentified person, possibly a woman, was with Emmett’s murderers the night he was abducted, the Associated Press reports. Parker, as AP notes, has a special interest in the case, given that he was there when his 14-year-old cousin allegedly whistled at Donham, then known as Carolyn Bryant. “He did whistle, for sure,” Parker recalled, according to AP. Donham’s husband at the time, Roy Bryant, and his half brother J.W. Milam abducted Emmett and later admitted beating and mutilating him and then shooting him before sinking his body in a local river. Vanity Fair has reported that Donham admitted to author Timothy Tyson that that part of her testimony—that Emmett made verbal and physical advances toward her—was not true. The exchange was revealed in a new book, The Blood of Emmett Till, which came out last week. Tyson, a Duke University scholar, acknowledged that Donham confessed to her lie during an interview in 2008. Now 82, Donham lives in Raleigh, N.C.
Parker told AP that his cousin never made sexual advances or grabbed Donham’s hand. Both Roy Bryant and Milam are now dead, and no one else was charged in Emmett’s murder, despite evidence suggesting that there was at least one other person, possibly a woman, present at the time of Emmett’s abduction, as AP notes. During Milam and Bryant’s trial, Emmett’s great-uncle Moses Wright testified that the two men took his nephew at gunpoint and headed to a car parked outside the house, asking someone inside the vehicle a question. Emmett was never seen alive again, and the person Wright said he heard speaking was never identified. Watts said that she wondered who else was present at the time of her cousin’s abduction, but acknowledged that it is impossible to know without an investigation. “However that information is acquired, it’s necessary,” she said. According to AP, Mississippi Attorney General Jim Hood said that he “will do all the law allows to make sure justice is done,” but declined to comment on any investigation. The U.S. Justice Department acknowledged that it’s aware of Tyson’s book but also declined to comment further.